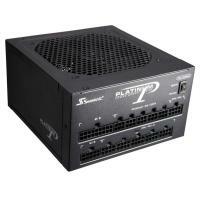 Industry leading performance built on continued research and engineering excellence – these are the attributes of the ultra-efficient Seasonic Platinum series models. 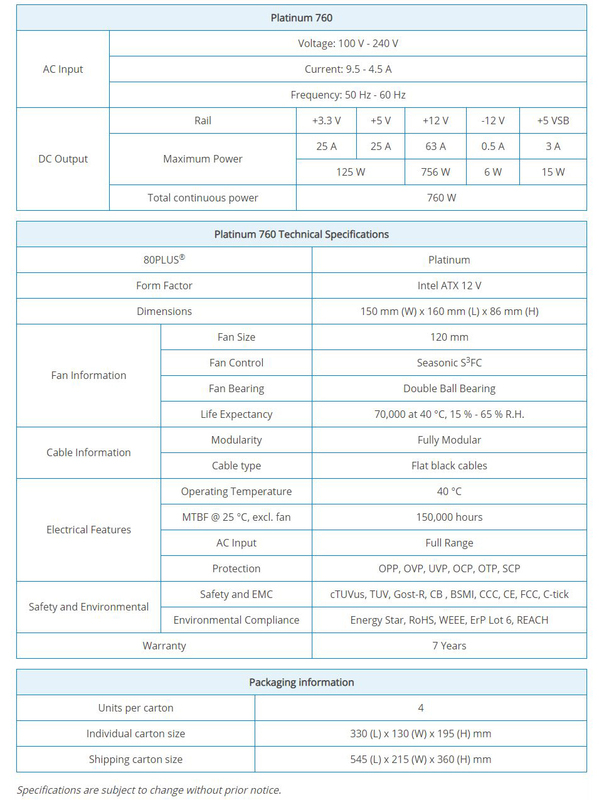 The series comes with full safety protection and several Sea Sonic proprietary design elements. 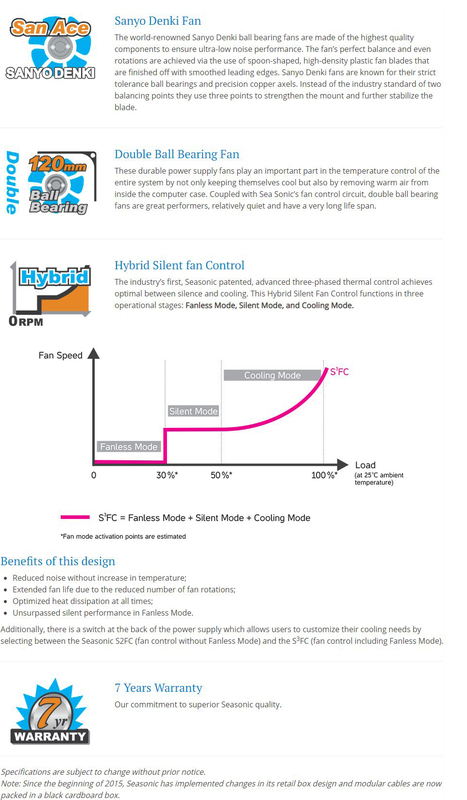 The Smart and Silent Fan Control design automatically adjusts the fan speed according to the ambient temperature via regulating between three distinct operation modes: Fanless Mode, Silent Mode and Cooling Mode. 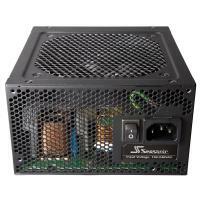 There is an adjustable switch on the back panel, which lets the user select the desirable setting for the fan. 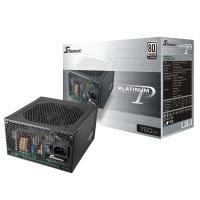 The Platinum 760 watt power supply is one of the best on the market today.